InkTober is growing every year. InkTober is (for the ones that have missed it) an Art challenge and artists from all over the world participate. Every day of the month October you make a drawing with ink. At the end of October the result is 31 ink illustrations. Also in the Netherlands InkTober is growing. Every year more artists participate and I think that’s awesome. Last year I participated for the first time and alsop this year I finished InkTober (Here you can find the illustrations of this year). What I liked about this year is the Dutch community that arose. I saw the daily drawings of a lot of Dutch artists and the community really helped as a motivation. That was awesome! This community got noticed and that resulted in something really cool. 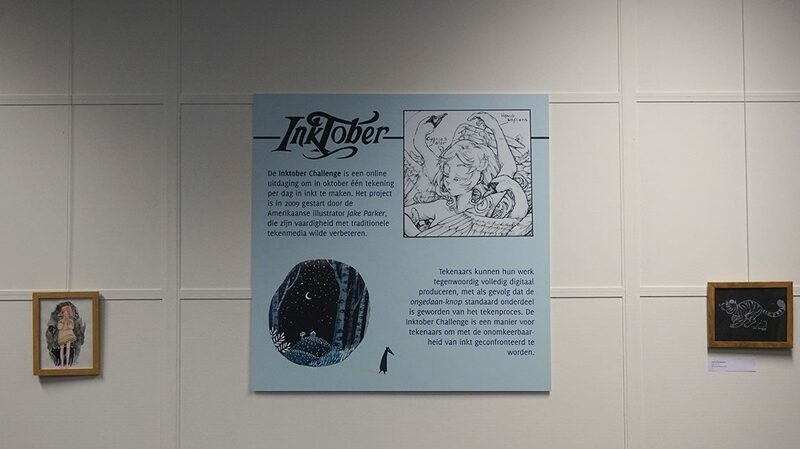 The Museum Strips organised an exposition for InkTober. 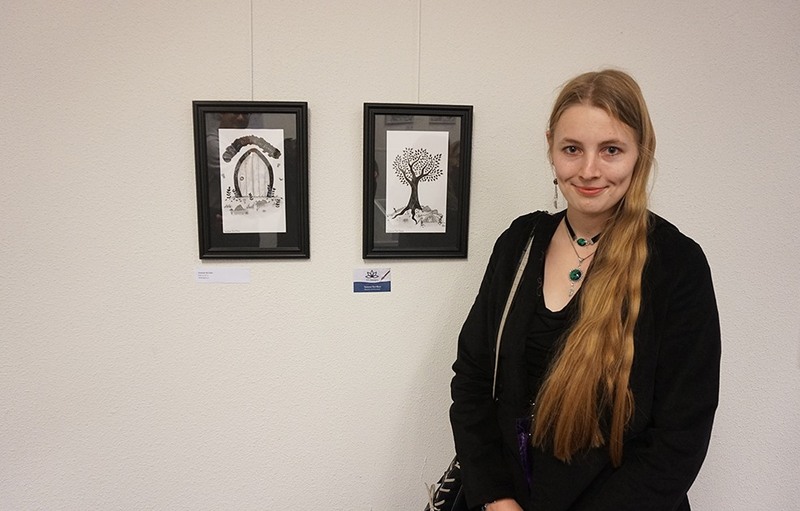 I can say proudly that two of my drawings are on display in this exposition! Last Saturday was the grand opening and of course I was there. It was awesome to see the illustrations of others in real life. And it was also nice to speak to other illustrators. It was nice and it was also informative. I got some nice tips and also some new ideas :). 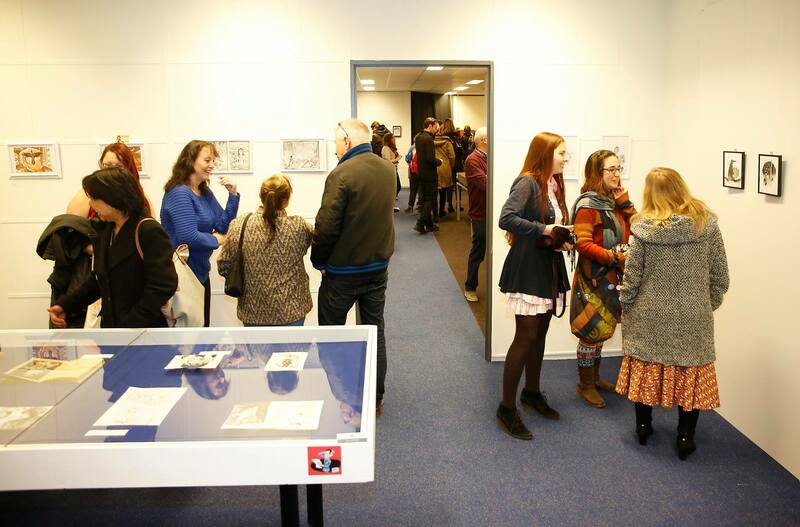 The exposition is on display till February :). More information about InkTober you can find on the website of Jake Parker. He is the creator of InkTober. He started this challenge in 2009 to improve his own ink skills. 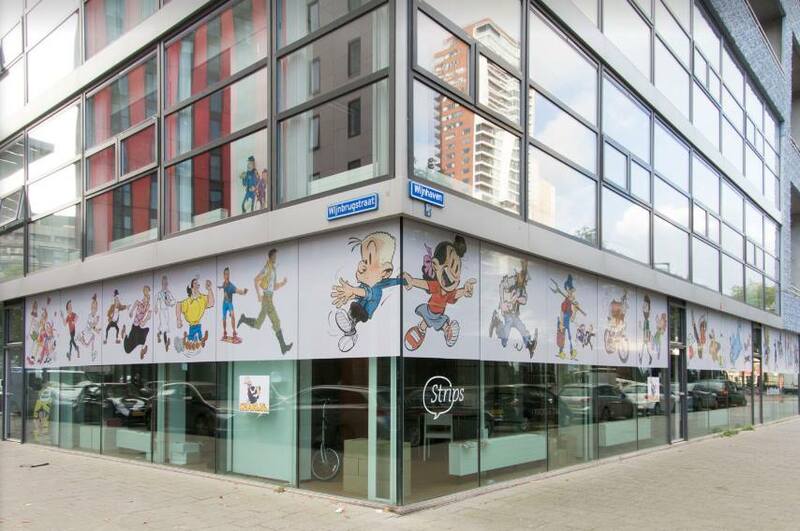 Posted in About me, Illustration, Projects and tagged art, artistlife, exposition, illustration, InkTober, Inktober2016, Inktobernl, sbdesigns, Strips. ← Inktober 2016 was awesome!